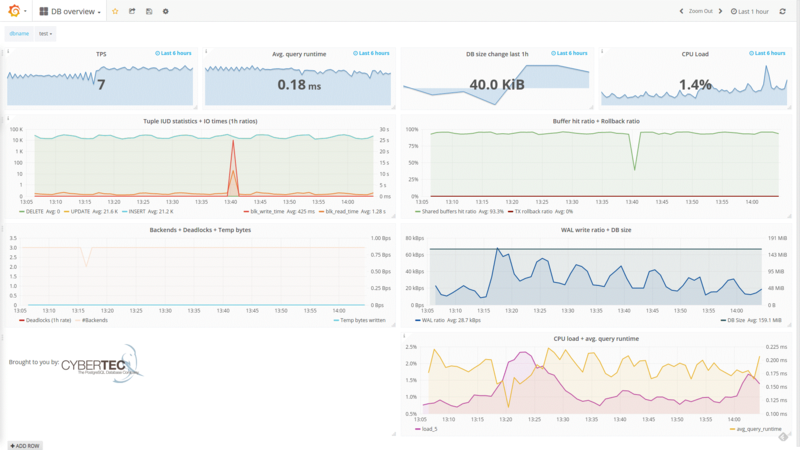 Although there are many PostgreSQL monitoring solutions out there, most of them are sadly too complex to set up and too inflexible for you to extend the functionality yourself. However, pgwatch2 tries to change that by providing previously unavailable flexibility and concentrating on metrics gathering only, leaving the presentation side to the best dashboarding tool available. 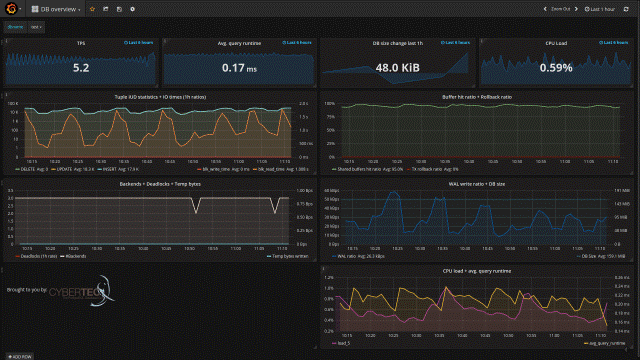 pgwatch2 works as a remote metrics-gathering daemon, periodically connecting to the database as a normal user would, and reading out metrics provided by the Postgres statistics subsystem. This has the advantage that you don’t need any special user rights and you don’t have to install any extensions on the database server itself, making use in restricted environments (e.g. AWS RDS) possible.